An epidemic of selfishness, greed, and immorality has wreaked havoc on our world. Even those who claim the Christian faith are not immune. The disease of sinful thought is highly contagious and inescapable. People long for a cure. As is often the case, true healing lies not in new treatments but in a remedy long-known yet poorly understood. Centuries ago God gave ten prescriptions, His Ten Commandments, as preventive and curative medicine. Medicine works only if taken, and patients don't take medicine without knowing its benefits. Dr. Bart Barrett uses powerful stories from his life and those of his patients and friends as evidence of the universality of the disease and the effectiveness of its cure. Intensely personal, profoundly honest, and frequently humorous, Barrett helps readers see themselves and their failings in a new way. As readers learn of the struggles and successes of people just like them, they will gain understanding and hope. 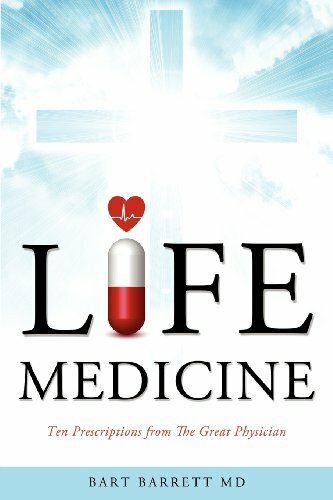 The Life Medicine Small Group Study Guide is now available for viewing!